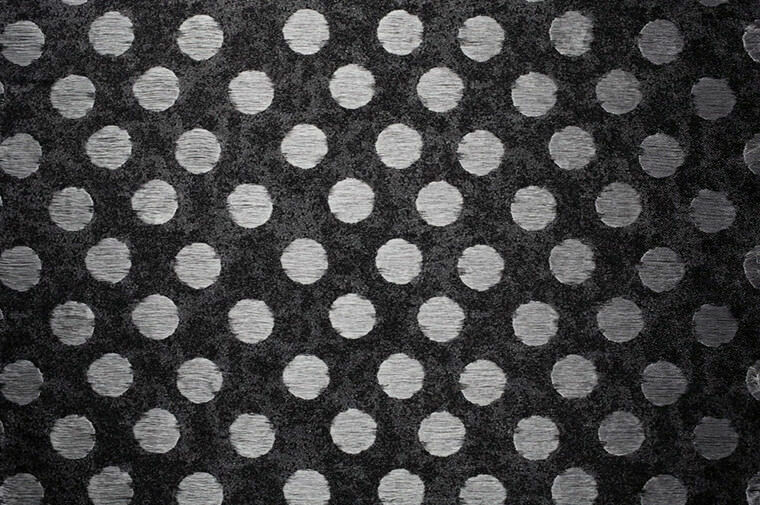 This unique fabric was designed for Noir by Kei Ninomiya, a brand directed by the youngest head designer under the Comme des Garçons umbrella. 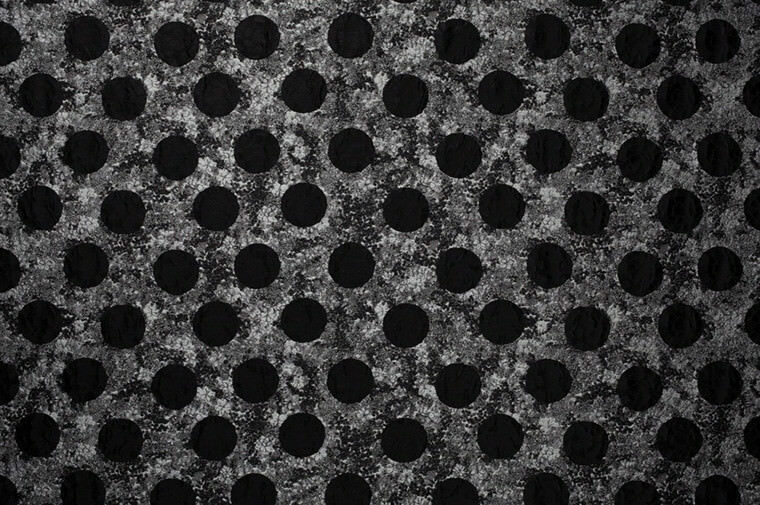 The original design consisting of a photograph of a bed of flowers upon which a paper collage of black polka dots were pasted on, was developed by the noir team. The design was then translated into the distinctive Nishijin textile by the craftsmen of HOSOO. The three-dimensionality of a paper collage and the appearance of depth is achieved by the intricate planning of weave constructions. A second collaboration with the brand followed in their 2015 SS collection.